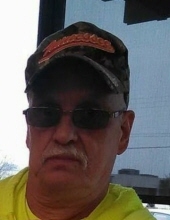 Gary Grayson, Sr., age 58, of Tunnel Hill, passed away on Tuesday, February 6, 2018 at his residence. He was preceded in death by his parents, Ed and Ruth Grayson. He is survived by his loving wife, Sharlene Grayson of Tunnel Hill; two daughters and son-in-law, Candra and Lamar Smith of Tunnel Hill and Amber Grayson of Tunnel Hill; one son, Gary Grayson Jr. of Calhoun; two sisters, Shelia Kay and Sherry Truebe of Ringgold; brother, James Grayson of Ringgold; and five grandchildren, Ethan Grayson, Hayden Bell, Sophia Grayson, Ryder Banson and Skyla Smith. Several nieces and nephews also survive. The funeral service will be held Saturday, Feb. 10, at 11 a.m. at the Dogwood Valley Baptist Church with Rev. Roy Gentry, Jr. and Rev. Jeremiah Quarles officiating. Burial will be in Dogwood Valley Baptist Cemetery. The family will receive friends at the funeral home on Friday, Feb. 9, from 5-9 p.m.
Funeral arrangements are by Julian Peeples Funeral Home, Rocky Face. For more information, call 706-272-9777.